Monitor - Shop with Confidence in our wide variety of quality products in this Category. Our Trusted Brand(s) in these Category and Sub-Categories is / are Feelworld. 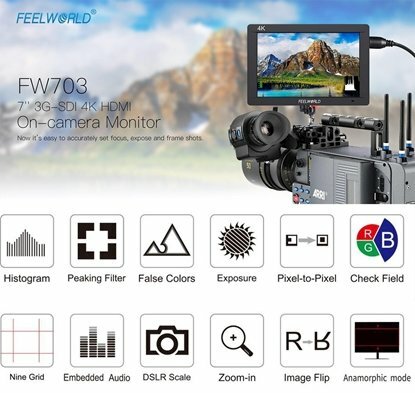 The Feelworld CN7 7" On-Camera Monitor is designed for high-resolution video production using DSLR or mirrorless cameras. The 1280 x 800 IPS display can be used to check focus and framing, assisted by built-in monitoring tools such as focus peaking and markers. 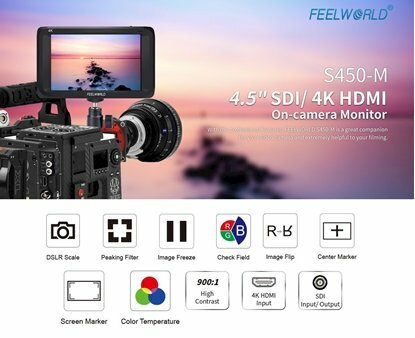 The Feelworld F450 4.5" On-Camera Monitor is a portable, lightweight, and slim monitoring solution for DSLRs, camcorders, and professional cinema cameras with HDMI compatibility. 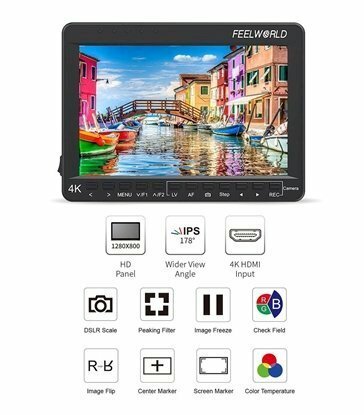 The FW703 3G-SDI 4K HDMI On-Camera Monitor from Feelworld features a 7" Full HD screen with a resolution of 1920 x 1200 and up to 323 ppi density. This compact monitor includes 3G-SDI and 4K HDMI inputs and outputs. 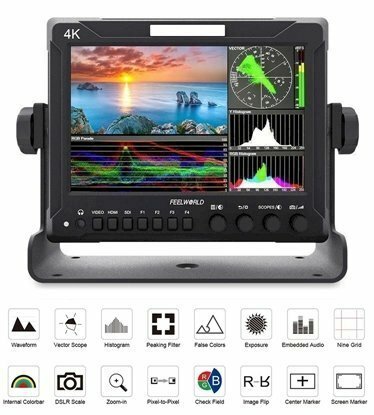 Monitor high-resolution signals in the field with the portable Feelworld S450-M 4.5" On-Camera Monitor. Using the HDMI 2.0 input, 4K signals (either UHD or DCI) from your mirrorless, DSLR, or digital cinema camera can be displayed, as well as HD and SD signals. Feelworld Z72 is packed with an extensive suite of scopes, one button operation and simple to use. You can get a set of highly accurate tools for focus, framing & exposure (Waveform (RGB Parade, YUV Parade, Y Parade), vectorscope, RGB Histogram, Y Histogram, Embedded Audio, Peaking Focus Assist, False Color, Zebra Exposure, Internal Colorbar, check Field, Time Code, Scan Mode, Camera Mode, Image Flip, Image Freeze, Pixel to Pixel, Zoom, Center Marker, Safe Area, Marker Type and options for anamorphic de-squeeze monitoring. 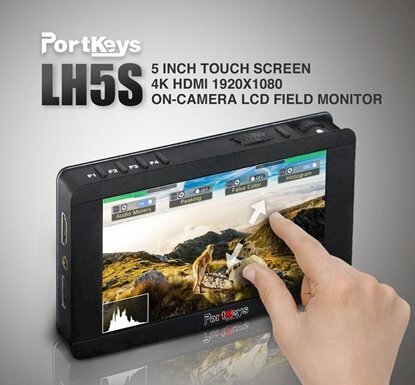 Support 4K Signal & Touch Screen, 1920 x 1080 HDMI On-Camera LCD Field Monitor w/ Sony NP-F Battery Plate. Perfect for gimbal use and small setups. Long Arm helps videographer to control REC, FOCUS, ZOOM, TAKE PICTURE on the monitor directly.